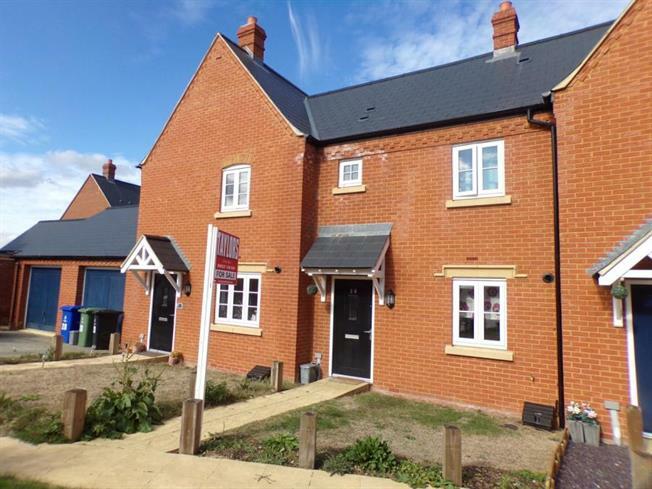 3 Bedroom Terraced House For Sale in Brackley for Offers Over £240,000. Taylors Estate Agents are proud to offer for sale this fantastic three bedroom home built by Taylor Wimpey which is known as The Hardy. The 3 bedroom home is perfect as a starter home for individuals, couples, growing families or as an investment. The lounge/dining room provides a spacious environment with patio doors leading to the garden. Also located on the ground floor is a kitchen/breakfast room, cloakroom and a storage closet. Upstairs there is two double bedrooms, en-suite to master, a well proportioned third bedroom which could be used as a nursery or a study and a spacious bathroom. The home has fantastic access to the A43 and M40 and it is in close proximity to the town centre. Please call us on 01280 703 594 to arrange a viewing.